Everything about this dish is just heaven! Aligue, Knorr Ginataang Gulay Mix and rice! What’s not to love? It matches any meat of your choice! 1 Begin by grabbing a pan and making it nice and hot over medium heat. Pour some oil and throw in the leeks and add aligue. Sauté for two minutes to cook before adding the Knorr Ginataang Gulay diluted in 1/2 cup water. Allow the sauce to simmer until thick. 2 Add the cooked rice, mix well and sprinkle with a bit of fish sauce to taste. With an extra topping of kani (crab stick), this dish is done! 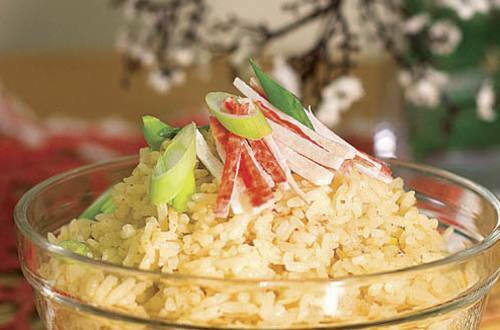 3 Aligue Rice is a dish that will always put a smile on your face. You may eat it as is or served with your meat of choice! It’s simply delicious!